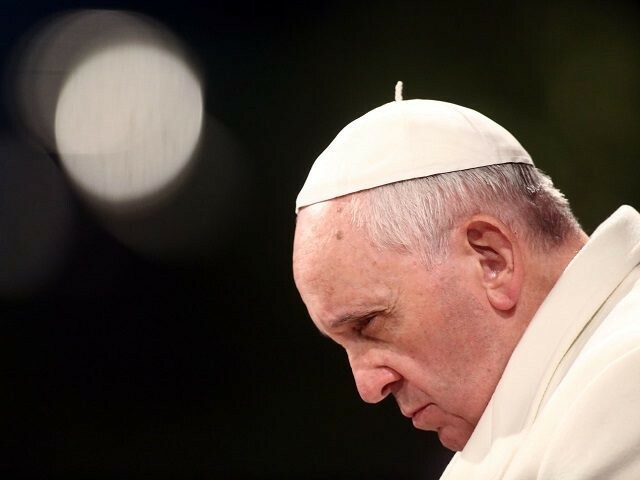 At the five-year mark in the Francis pontificate, “signs of growing discontent” with the pontiff are emerging among American Catholics, according to a report released Tuesday by the Pew Research Center. While the vast majority of U.S. Catholics continue to view the Argentinian pope favorably, the trend is toward greater diffidence toward Francis with increasing numbers saying they view Francis unfavorably, because he is “too liberal and naïve,” Pew revealed. The percentage of Catholics who say they disapprove of the pope has more than doubled in the last four years, from 4 percent in 2014 to 9 percent in 2018. Meanwhile, the percentage of U.S. Catholics who say they have a “favorable” view of Pope Francis has dropped by only one percentage point in the same period, falling from 85 percent in 2014 to 84 percent today. The number of American Catholics who believe that Pope Francis represents a significant positive change for the Roman Catholic Church after his predecessors Popes Benedict XVI and John Paul II has fallen by eleven percentage points in the 3-year period from 2015 to 2018, Pew found. In 2015, a substantial majority of Catholics (69 percent) said that the Francis pontificate represents a “major change for the better” while in 2018 the number expressing this opinion has dropped to just over half (58 percent). During these three years, the number of U.S. Catholics who express the contrary view — that Francis has represented a “major change for the worse” — has more than doubled, from just 3 percent in 2015 to 7 percent at present. In describing Pope Francis, the share of U.S. Catholics who consider the pontiff “too liberal” has shot up from 19 percent in 2015 to 34 percent in 2018, while the number who consider him to be “naïve” has risen from 15 percent to 24 percent in the same period. In rating the job the pope has been doing, U.S. Catholics give him worse marks across the board than they did earlier in his pontificate. Regarding whether he has been effective in spreading the Catholic faith, for instance, those who say the pontiff has done an “excellent” or “good” job has dropped from 84 percent in 2015 to 70 percent today. The number of those giving the pope a job rating of “fair” or “poor” in this area has grown from 10 to 25 percent during the same period. Something similar can be seen concerning people’s opinions of the pope’s job standing up for traditional morals, with the number of those rating his work excellent or good falling by ten percentage points, from 80 percent to 70 percent, and those rating him fair to poor doubling in number, from 13 to 26 percent in the past three years. When separating U.S. Catholics by political affiliation, these differences become even more marked, with Catholic Republicans much more than Democrats viewing the pope in an increasingly negative light. A majority (55 percent) of U.S. Catholic Republicans, for example, today see the pope as “too liberal,” whereas the percentage saying this just three years ago was less than half that big, at only 23 percent. Among the same demographic, the number of those who consider Francis to be “naïve” has also doubled, from 16 percent in 2015 to 32 percent in the present. Even among Catholic Democrats, however, the trend expresses a certain degree of disenchantment with the pope. Those who see Francis as “too liberal” has risen from 16 to 19 percent since 2015, and the share who see him as “naïve” has also grown, from 14 to 18 percent in the same period.